In recent years, Cannabis high CBD strains have rapidly become one of the most popular supplements in the market. People who suffer from constant anxiety, overwhelming stress and chronic pain have found relief with this natural, harmless cannabinoid derived from the same family of plants as medical marijuana. Yet the increasing demand also highlighted some difficulties faced when trying to choose the right product. There is simply not enough information out there for an inexperienced buyer. 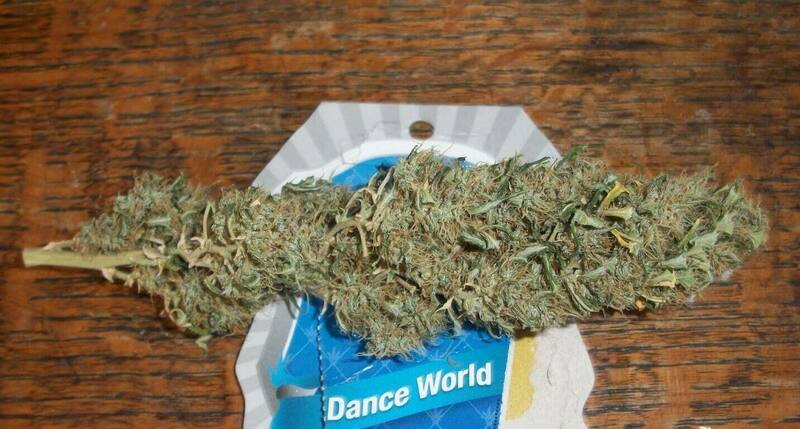 With all the high CBD strains available it is becoming exceedingly difficult to find the ideal one for your purposes. Not all CBD strains will have the same effects. Lighter strains might be a good way to start, but they can be too weak to offer any serious benefits. Each body reacts differently to CBD, and there are those who need high CBD strains to get the results they desire. So to start things off, let’s take a look at the results of our expert vote. The race to top strain status was tight, but 5 high CBD strains managed to pop out. You can easily check them out right below. Click on the favorite high CBD strain of your choice to quickly jump directly to its description. Read on to find out all about the top-rated high CBD strains out there! Aside from the most popular and commonly bought CBD strains, there are hundreds of others that might actually be a better fit for you. Below, you’ll find a list of 45 amazing high CBD strains. With crucial information about flavor and aroma, you can chose a strain that’s to your liking. More importantly, we also include info about medicinal and recreational benefits of each breed to help you zero in on the ideal CBD strain for you. Our list contains indicas, sativas and hybrid plants. 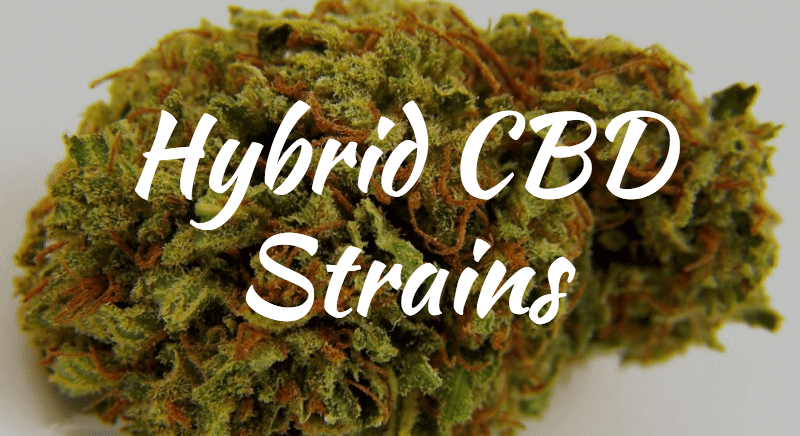 Check out these amazing high CBD strains, and find the right one for you! 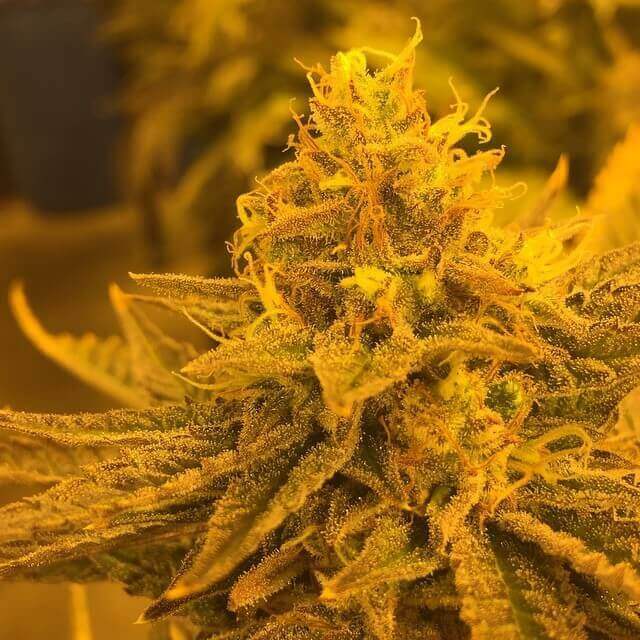 Mango Haze is a very potent CBD strain that has a sweet, peppery flavor reminiscent of tropical mango. The ratio of CBD to THC is between 2:1 and 1:1, making CBD Mango Haze ideal for those who suffer from stress and wish to relax without a high. Still, the effect is quite strong, creating a euphoric, calm state of mind perfect for completing simple chores. This option can help with lack of appetite and mild pain. The best thing about this CBD strain is its very low THC content (less than 0.3%), which makes it a very popular choice for use in children suffering from seizures. Charlotte’s Web was cultivated for a young epileptic patient named Charlotte. The CBD content in this strain is very high, and the serum has an earthy/woody taste. It is best used for relaxation and combating mild pain. 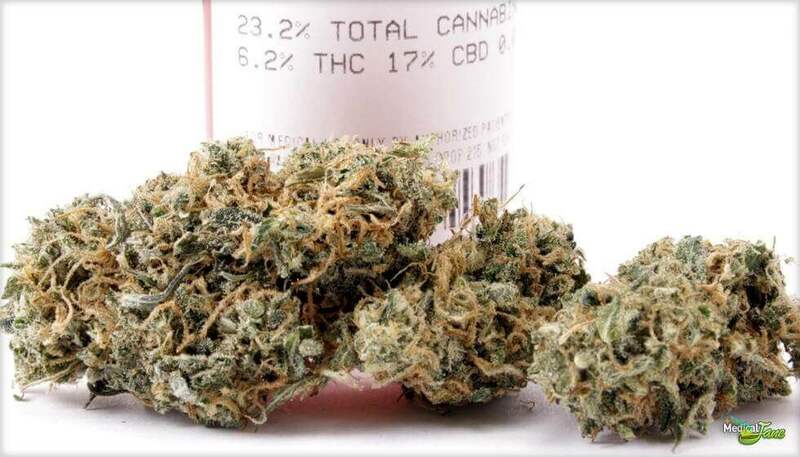 This strain can cause dizziness and mild anxiety on rare occasions. As the name implies, this CBD strain was cultivated to create a euphoric, happy state. The CBD content is quite high and ideal for those suffering from stress and lack of focus and energy. 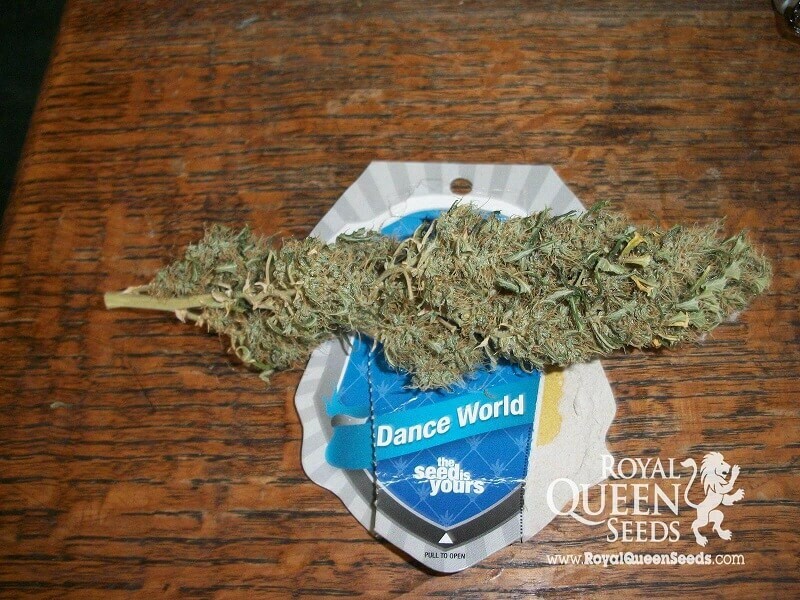 Dance World is a hybrid strain made from Dancehall and Juanita La Lagrimosa. The combination gives it an earthy taste with flowery, sweet undertones. This is the best choice for those who want an uplifting, pleasant experience without the side effects of a high. 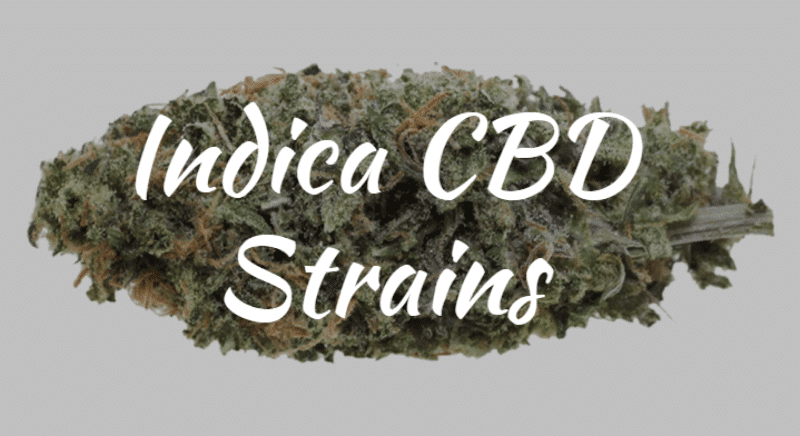 This CBD strain is the perfect choice if you want to relieve daily, chronic pain without sedation and the dangerous side effects of painkillers. Harlequin was cultivated out of four different strains and has very strong sativa effects with a reliable 5:2 CBD to THC ratio. This ratio ensures that users don’t face a strong THC high while the CBD increases the pain-relief and anti-inflammatory effects. 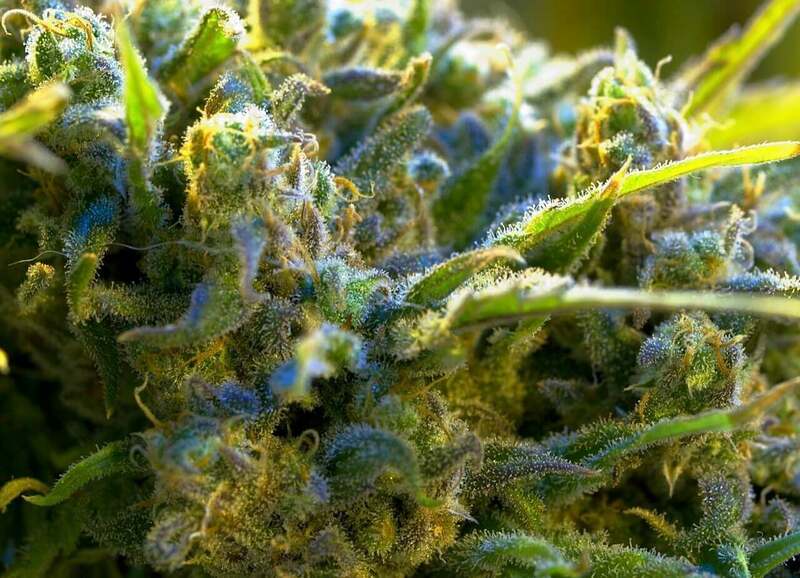 This strain may cause dry mouth and eyes in some cases. One more CBD strain that focuses on reducing stress and giving emotional relief to consumers, Hawaiian Dream is the result of the combination of two strains and has a 2:1 CBD to THC ratio. This ensures that there is no strong buzz or couch-locking/debilitating haze while still offering a calming effect and clearing the mind. Ideal for those who want to overcome draining anxiety and be able to work and be productive. Mainly used for muscle spasms and anxiety relief, this CBD strain offers relaxation and a clear, calm mind without a strong high. The flavor is quite quirky and odd, often described as “skunky,” with sweet undertones and a tropical taste. The high CBD content is ideal for stress relief without the heaviness caused by THC rich strains. You will still feel quite energetic and clear-headed. It might cause dry mouth and eyes. Best for the creative individual who wants a clear, focused mind together with the mind-expanding effects of sativa. 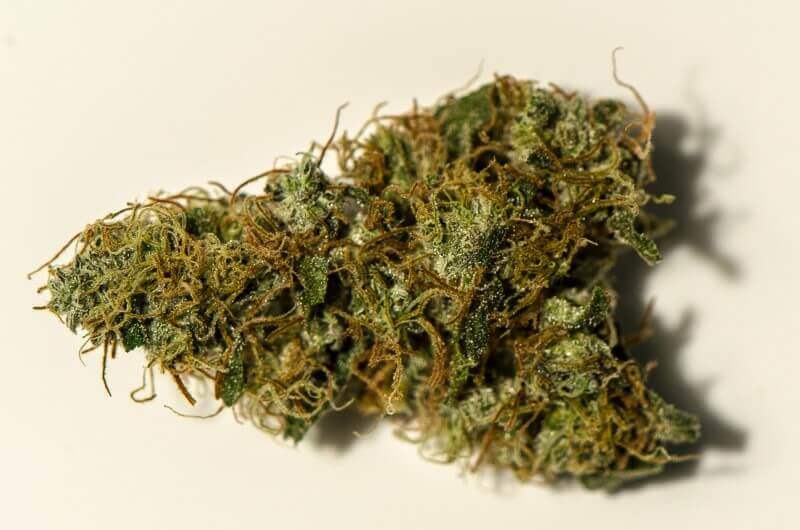 Jamaican Lion has an interesting tropical flavor with hints of sage and earthy undertones. 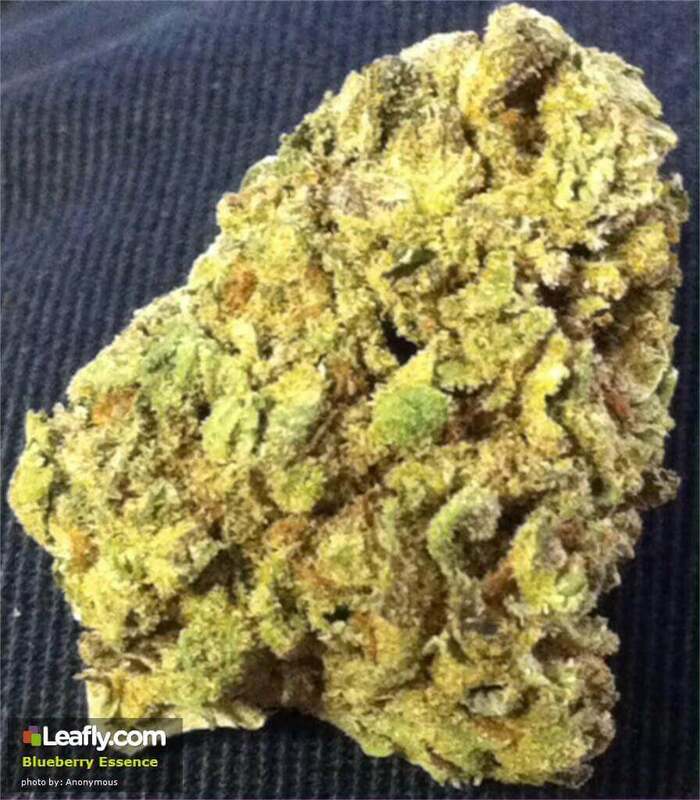 This strain is very good for combating everyday chronic pain situations. It may cause dry mouth but leaves the head clear while containing just enough THC for a unique out-of-the-box experience that cheers you up. 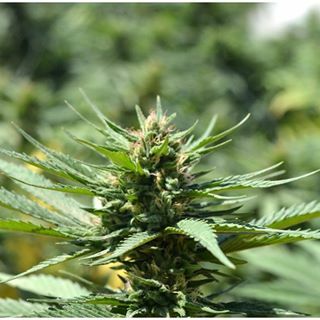 An extremely potent and popular CBD strain, Johnny’s Tonic won the cannabis-cup award in 2014 for its high CBD content and promising medical benefits. 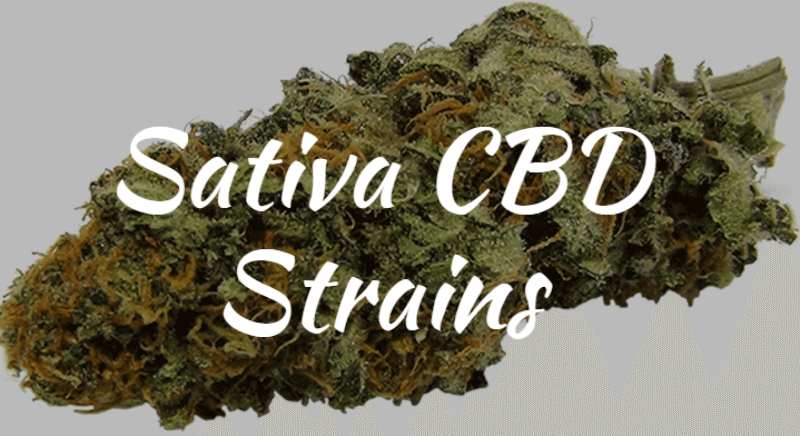 This is one of the best strains for consumers wishing to combat fatigue, inflammation, stress and muscle spasms. It has a very pleasant lemon and flowery taste with a quirky skunky undertone. 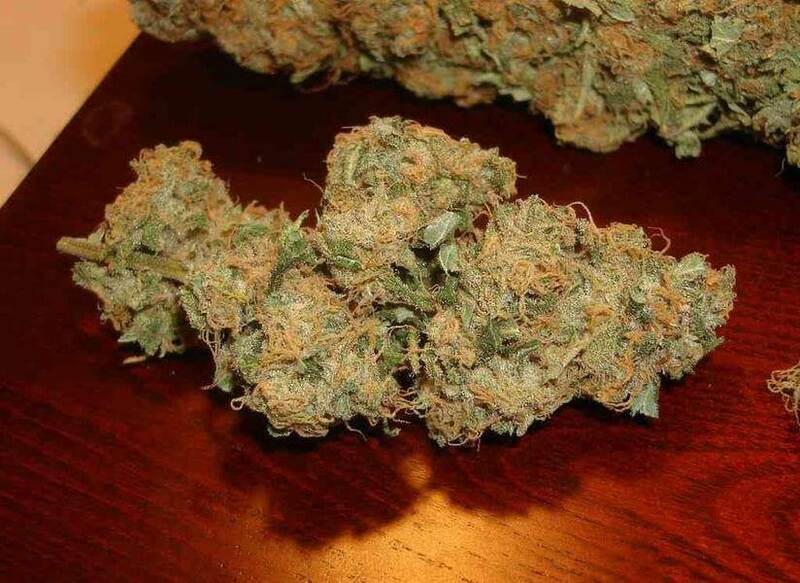 This strains has very low hallucinogenic/paranoia effects while giving clarity and a relaxed state of mind. 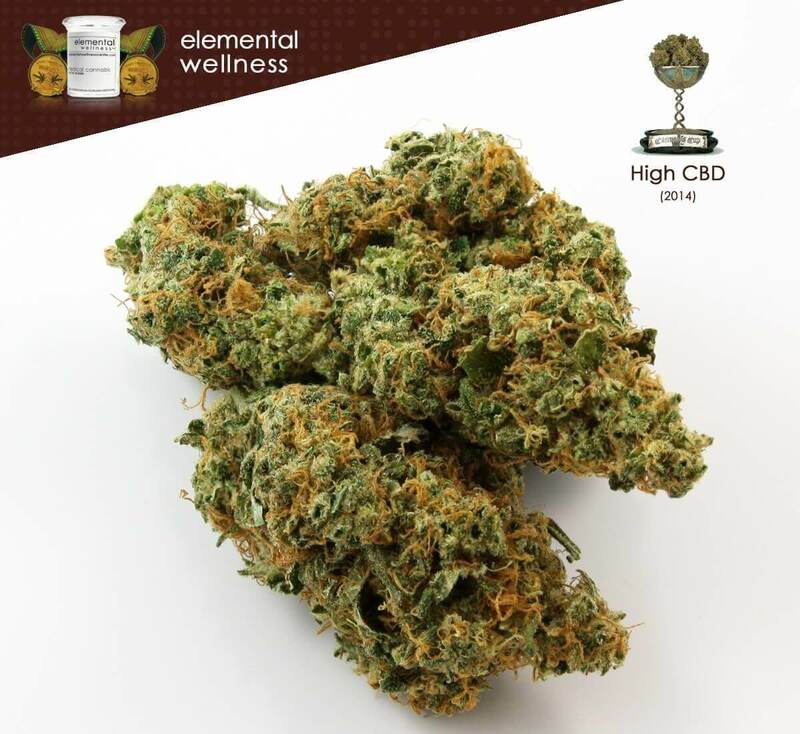 Best suited for stress relief and relaxation, this high CBD strain was cultivated from a mix of four other strains to give a great 1:1 CBD to THC ratio. One of the most pleasant things about MediHaze is its intricate aroma and taste reminiscent of mint, spices and pine. Many describe the flavor as “pleasantly peppery.” This strain causes enough of a buzz to induce euphoria without reaching the “pot-head” level. With its telltale peach flavor and very high CBD to THC ratio, Rafael is the perfect CBD strain for those who want little to no high but very potent pain relief and relaxing effects. Rafael can have up to 18% CBD while containing 1% or less of THC. Chances of side effects are very low. Rafael is a great choice for people who are sensitive to THC but still need the beneficial effects of appetite increase, stress reduction and pain relief. A potent sativa CBD strain bred for a 2:1 CBD to THC ratio, Swiss Gold induces a relaxed state that leaves you energized and keeps your awareness sharp. 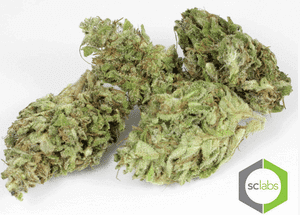 Swiss Gold has a citrusy flavor with earthy undertones and a hint of a diesel aroma. It is often used for headaches, high stress levels and depression as it can increase happiness. It may cause light anxiety and dry eyes in some cases. This funky hybrid strain is well known for its surprisingly high CBD to THC ratio. ACDC contains less than 1% THC while packing around 19% potent CBD, which means that you get a potent relaxing effect without the psychotropic haze. ACDC has an earthy flavor that reminds one of citrus with woody undertones. Usually chosen for pain relief, you get a calming, soothing effect from ACDC. Use may sometimes cause dry mouth and dizziness. A balanced hybrid that’s half-sativa and half-indica, Avi is best known for its characteristic berry-like flavor. Delicious and with a 2:1 CBD to THC ratio, this strain is quite potent to increase creativity and energy levels. At this ratio, a milder high is experienced with less of a sedation effect than found in a pure THC experience. There is a chance of having dry eyes and mouth after use, but this side effect is quite common in cannabis use. Avi-Dekel is mainly used to soothe digestive disorders, decrease inflammation and help patients sleep easier. With a high CBD level of almost 16% on average, Avi-Dekel gives you a happy, euphoric experience without the lows associated with a real high, making it great for medical use by those not seeking psychoactive effects. Use may cause dry mouth and mild anxiety in some cases. The taste is earthy with woody and pine undertones. Avi-Dekel is best taken at the end of your day. With a deep fruity aroma and a sweet taste like blueberries, Blueberry Essence offers a calming CBD experience. It is most often chosen by those looking to relax into sleep, usually because anxiety, muscle spasms or pain keeps them from doing so naturally. While this strain can sometimes cause dry mouth, it is quite popular among those who experience anxiety attacks with regular medicinal cannabis use and THC highs. Bred from two high CBD strains, Canna-Tsu offers pain relief and a relaxing experience. This particular hybrid is well known for its citrusy aroma and earthy tang when it comes to flavor profile. Often taken by people suffering from anxiety disorders, Canna-Tsu offers a clear-headed high that allows the imbiber to focus on chores and work while distracting from pain and stress. 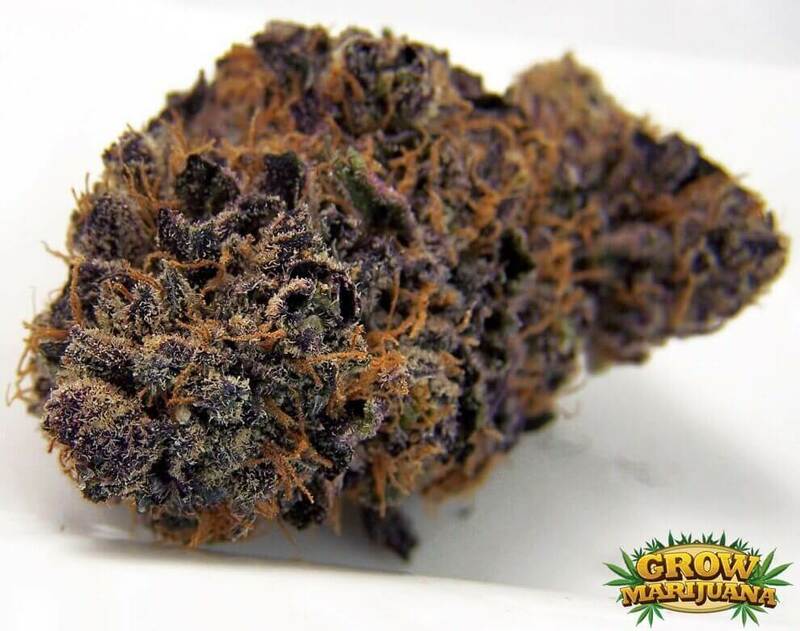 This strain is good for taking in the morning if needed. Cannatonic is a hybrid strain bred to deliver a CBD to THC ratio of 1:1. This CBD strain has a quite strong effect compared to others with less THC but offers a lot more clarity than straight marijuana use. The effects are generally calming, offering an euphoric feeling and pain relief. Ideal for those who want to switch steadily from marijuana to CBD-rich strains, Cannatonic has an earthy flavor reminiscent of pine. This CBD strain is quite potent with a 1:1 CBD to THC ratio. Often chosen for mental disorders like depression and anxiety disorders, Dieseltonic gives more mental clarity than typical THC-dominant strains, giving better focus and a happy euphoria. The taste is quite particular, reminding one of diesel and orange, so it is best to be prepared for a unique flavor experience. Dieseltonic may cause dry eyes and mouth. GI001 is one of the top high CBD strains if you want lots of benefits but a very low (almost null) chance of a high. With an average CBD to THC ratio of 24:1, GI001 is often used for children with epileptic seizures, adults with seizures and people who get anxiety attacks from high-THC strains. The pleasant citrus flavor offers a mix of lemon and lime. This is best for people who want no high, just relief and relaxation. Best for pain relief, Harle-Tsu is a two-strain hybrid that offers a very high CBD to THC ratio of 20:1. With an earthy flavor with citrusy undertones and a spicy sensation, Harle-Tsu is liked by many who wish to have a relaxing experience combined with pain relief and an uplifting effect. There is no serious chance of getting a real high or psychoactive effects. You may experience dry mouth, but this is a common, harmless side effect. A hybrid of three high CBD strains, Maui Bubble Gift is often chosen for its almost double CBD to THC content, which offers only a mild, relaxing high with a clearer head. Best used for treating pain, anxiety and inflammation, some psychoactive effects can be expected, depending on your sensitivity. 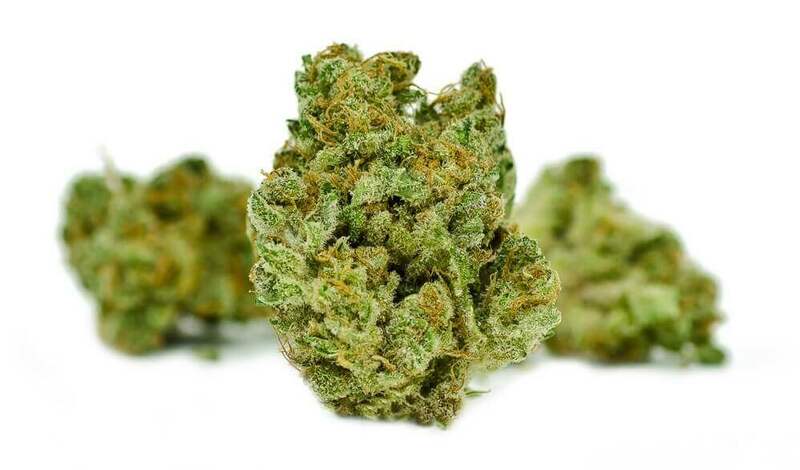 With a pleasant flavor reminiscent of berries and woody, earthy undertones, Maui Bubble Gift is the choice of many who want to lower their THC intake. This CBD strain was specially developed to combat nausea and lack of appetite. It’s high CBD content helps soothe depression and anxiety and offers a state of euphoria. It may also help with insomnia and inability to calm down. 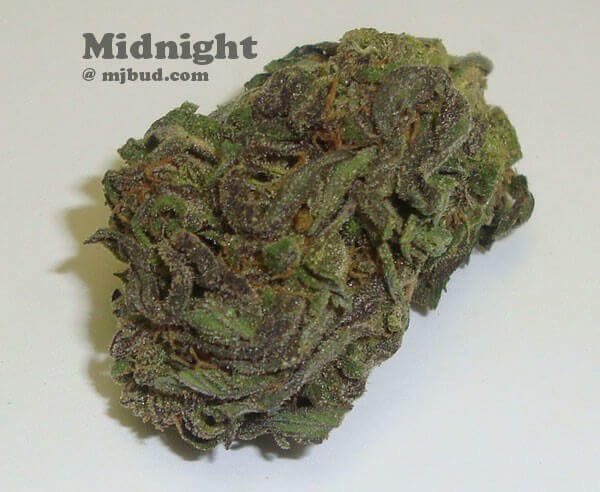 With a taste reminiscent of flowers, especially lavender and rose, Midnight is quite popular. Use may sometimes cause dry mouth and eyes, but these side effects are quite common in cannabis use and are harmless. A great choice for people who need to consume medical cannabis, Nebula II has an even 1:1 CBD to THC ratio that offers a mellow high with many of the benefits of cannabis use. These benefits include pain relief, reduction of inflammation and the ability to relax into a happy, euphoric state. Nebula II has a sweet, honey-like taste that makes it quite popular. This is an ideal choice for those new to CBD-rich strains. Earthy and nutty with woody undertones, OG Ringo is commonly considered a tasty strain that delivers a euphoric, happy high with more mental clarity than do THC-dominant strains. It may cause a spark of creativity and focus in some while combating the symptoms of depression and anxiety for many. OG Ringo is often chosen for mental illnesses to combat a drop in productivity and happiness. This strain offers an average 1:1 ratio (hence the name) of CBD to THC. One to One is a great choice for people who do not tolerate THC well, who get anxiety attacks from high THC strains, or who simply don’t want the side effects of a high. With a citrusy aroma and earthy flavor, One to One offers a highly relaxing yet focused high that doesn’t muddle your head or get you too dizzy. With a flavor strongly reminiscent of cheese and blueberries, Purple Cheese has a high CBD content and is favored by people seeking relaxation. 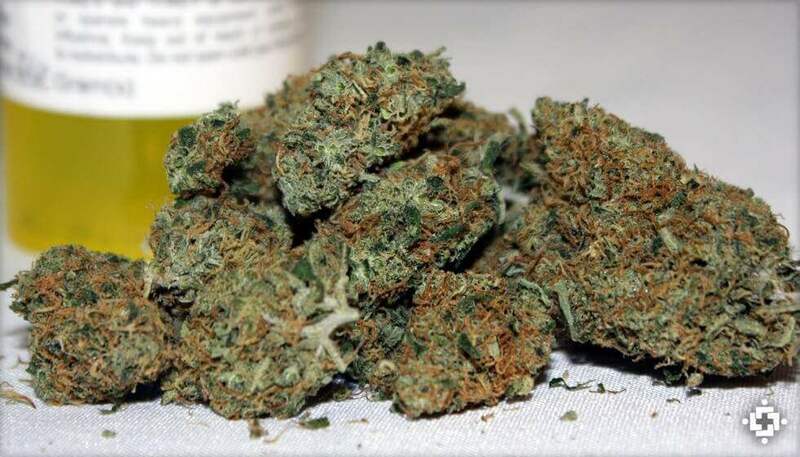 The high and effect might be stronger than in other high CBD strains, so it is best used at night for people who need to wind down, get rid of bad thoughts and be able to relax into sleep in a euphoric state. Use may cause dry mouth. For those who seek a relaxing, pleasant high without the heaviness and inability to function easily, Ringo’s Gift is an excellent choice. With a 1:1 CBD to THC ratio, this high CBD strain can be too much for those who don’t want any high or psychoactive effects at all but is ideal for people who want a lighter cannabis experience. Often used for soothing stress and headaches, Ringo’s Gift has a pleasant earthy taste and pungent aroma. A pioneer among high CBD strains, Sour Tsunami was one of the first cultivated with the purpose of offering more CBD than THC, even if only by a little. The average Sour Tsunami offers up to 11% CBD and around 10% THC. The taste is earthy and reminds one of a mix of citrus and pine. This is best chosen by those wishing to relax and relieve pain without as much of a high and its consequences. 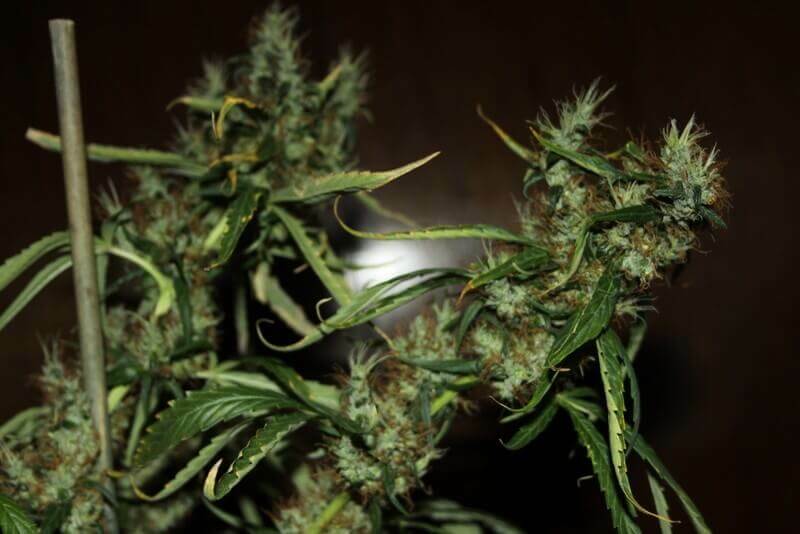 The aroma of these buds can be quite pungent but is pleasantly sweet and earthy. Trident has a double CBD to THC ratio, which combats pain and stress while offering only a mild, more manageable high. 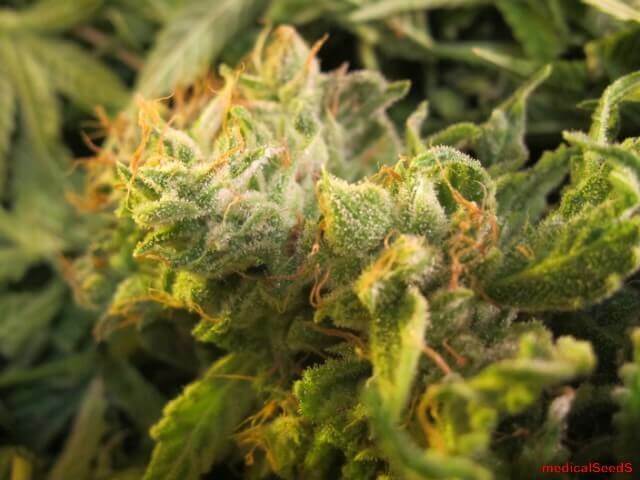 This strain can contain up to 12% CBD, making it one of the really high CBD strains out there with only around 6% THC. Best used late at night and not before a hopefully productive day. Able to spark creative thoughts and offering a deliciously fruity experience, Valentine X is becoming increasingly popular. This CBD strain is very low in THC and offers 25 times as much CBD, making it ideal for combating seizures/epilepsy. Often chosen for treatment of cancer patients, epileptic children and adults as well as inflammation, Valentine X has no psychoactive effects. This is why it is chosen by many who don’t want a high at all, just health benefits. 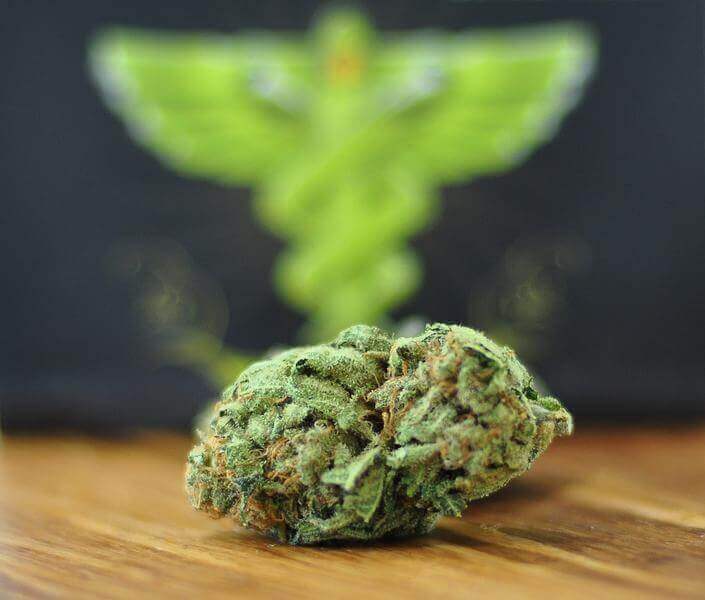 The winner of the 2015 SoCal Medical Cup, VCDC is a potent CBD strain that offers pain relief, relaxation and increase in appetite, suppressing nausea. VCDC is designed to be good for cancer patients seeking relief from nausea and pain but is also popular for anxiety disorders and for combating stress. VCDV has a very pleasant berry flavor with citrusy hints and an earthy undertone. Potentially helpful in improving focus and alertness in ADD/ADHD patients, Warlock is also used to induce a calm, alert high in those seeking to relax without inhibiting productivity too much. The flavor of Warlock is quite earthy but can be considered quirky with its skunky undertones. Best chosen by beginners and people who want mild effects, it may cause paranoia in some cases. With a 1:1 ratio of CBD to THC, Zen is the choice of those who want a mild high while retaining clarity. Best used for treating stomach aches, Crohn’s Disease and nausea, Zen helps you relax and increases appetite. The taste is earthy with citrus hints and a pungent aroma. There is a chance of getting dry mouth and eyes from Zen. It is preferred by those who appreciate a bit of a high. 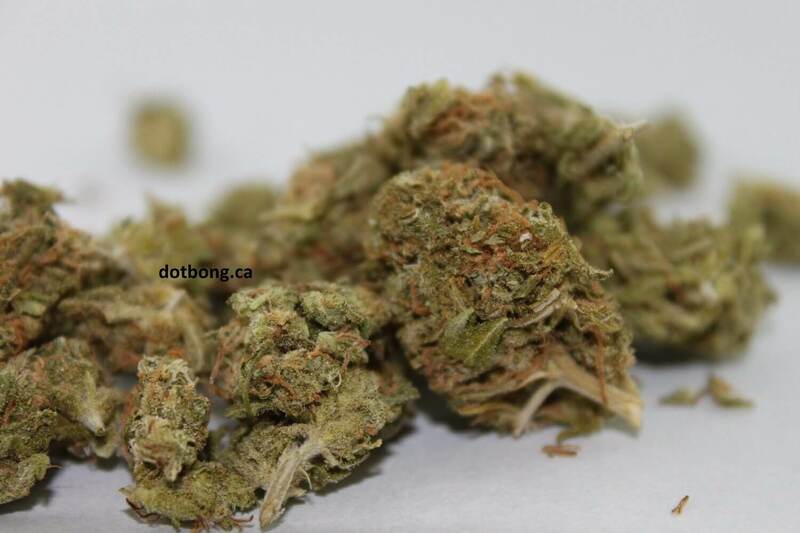 With a fantastic sweet taste of blueberries, Afghani CBD offer quite a pleasurable experience. 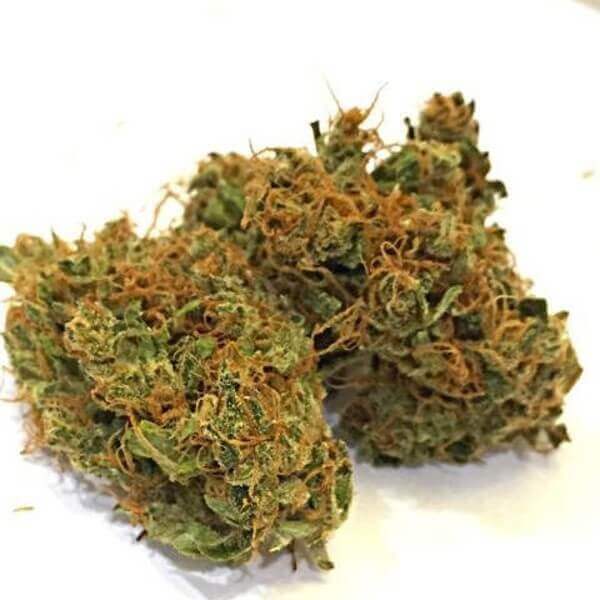 This CBD strain is usually chosen to combat insomnia and stress, but it can also be quite useful for people suffering from depression and anxiety disorders, offering a lulling, relaxing high that gently helps you slip through a euphoric state into sleep. It may help stabilize mood in people with ADD/ADHD. Sweet and earthy with a hint of herbs and garlic, the flavor of CBD Shark is often described as quirky and pleasant. With an even THC to CBD ratio, this high CBD strain offers potent pain relief and relaxation with much less of a high than THC-dominant strains. It is best chosen by those who don’t mind some psychoactive effects but generally appreciate a clearer mind together with relief from stress and pain. 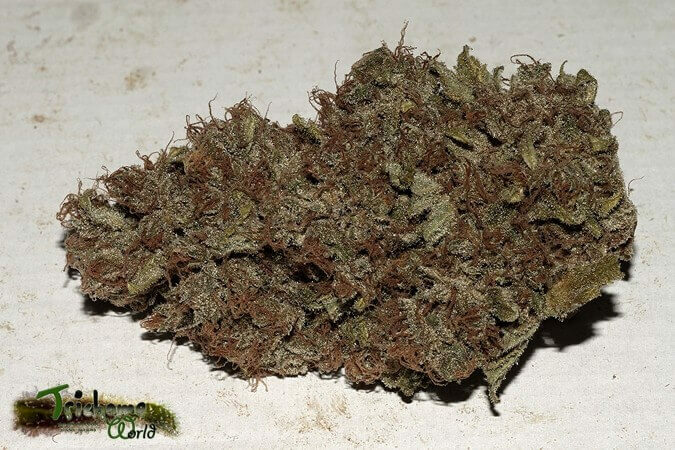 Good for stronger pain relief and relaxation, Critical Mass is a very THC-heavy CBD strain with up to 22% THC in it. It is great for those who want a strong high with increased CBD intake. The flavor is citrusy and generally sweet with earthy notes. It may cause dry eyes and mouth. Use can help soothe the symptoms of insomnia and depression, offering a relaxing, euphoric state. Critical Mass is good for muscle spasms. With a pungent aroma and woody, earthen undertones, Dark Star is quite popular for increasing creativity and giving a calming high. High in both CBD and THC, Dark Star can have average-intensity psychoactive effects. Medicinally, it is used for stress and pain relief as well as helping soothe the symptoms of depression and insomnia. Dry mouth or eyes are not uncommon. Great for muscle spasms and relaxation, Devil Fruit is a strong 70% indica CBD strain that gives you a mild high with mental clarity. Devil Fruit has a sweet and spicy flavor that could also be described as woody. Good for combating depression and stress and helping you sleep, this strain has some psychoactive effects, but not as strong as in a THC strain. It may cause dry eye. 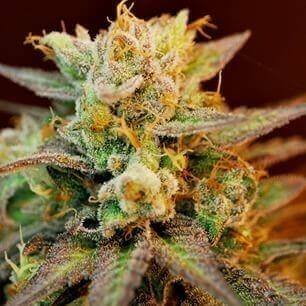 This CBD strain is best taken at night or when you lie down as its main effect is to help you relax and fall asleep. Best chosen to help against insomnia, pain that’s keeping you awake, and inflammation, Digweed contains enough THC to cause a mild high and should not be taken if you have a productive day in front of you. The flavor is mainly sweet with a delicious aroma and woody undertones. Haoma is a CBD strain that’s 70% indica, often chosen to help relieve stress and pain. High CBD strains like Haoma are ideal for full-body pain relief without causing too much of a mental high and haziness. The characteristic flowery, sweet taste reminds one of berries and is described as pleasant by most who try Haoma. You should take Haoma only before going to sleep and not at the start of a productive day. Often taken for insomnia and depression, Pennywise has an even ratio of CBD to THC. This makes it give a milder high with more mental clarity, but it will still cause sleepiness on many occasions. The flavor is spicy and herby with woody undertones. Pennywise is also used to ease symptoms of PTSD, anxiety disorders and epilepsy as it has a strong relaxing effect and brings out a euphoric state. This CBD strain is quite low in THC (containing less than 1%) and very high in CBD, containing up to 15%. Remedy allows you to have a euphoric, calmer state of mind without psychoactive effects and the negatives of a couch-locking high. The flavor is sweet, woody and earthy. It is great for people who want to soothe pain and stress and be able to sleep easier without getting high. A low-THC, high CBD strain that helps you relax and feel happier, this is often used to combat symptoms of depression, fatigue and chronic pain. Stephen Hawking Kush doesn’t cause paranoia or strong psychoactive effects, simply giving a mellow, euphoric high feeling. The flavor is quite pleasant with hints of lemon, honey and berry. It may cause dry eyes and dizziness on rare occasions. Best for those who suffer from chronic pain and stress, Sweet and Sour Widow offers a mild state of calmness and euphoria without strong psychoactive effects and too much of a high. Great for beginners who don’t want to fully experience the heavy feeling of a strong THC high. The flavor is earthy with hints of spicy and herbal tones and a pungent aroma. This is best used before going to bed. If you want both the strong couch-locking high of THC and a good amount of CBD for the extra pain relief, then Violator Kush is your strain. It makes you feel relaxed, sleepy and euphoric, offering relief from pain and stress while also helping you sleep more easily. The taste reminds one mostly of pine and can be quite flowery and earthy. Don’t try this at the start of a productive day.